The U.S. Trans Military Ban Goes into Effect Tomorrow — Will you raise your voice in support? On the 12th of April the U.S. Trans Military Ban will be going into effect. As a Global organisation we recognise that policies passed by the U.S. Government have far reaching implications worldwide. The Trans Military Ban is an issue that is not only a personal one our Interim Executive Director (who is a U.S. military veteran), but one that concerns us on a global scale. The days of ‘Don’t Ask, Don’t Tell’ are dark ones. The LGBTQIA+ family in the military had to suffer in silence, risking dishonourable discharge from the military if they came out or were outed. The stigma, the suffering, the pain was very real. When President Obama repealed ‘Don’t Ask, Don’t Tell’ in 2011, the LGBTQIA+ community was able to breathe a sigh of relief because there was now an assurance that their service would be honoured. The Trump Administration’s trans ban is so incredibly damaging on multiple levels and the global implications are far reaching. The US military is the largest employer of Trans people. The Department of Veterans Affairs (VA) is one of the largest healthcare providers for Trans people. The removal of Trans people from the military means a complete removal from their access to healthcare. If trans people cannot get the live saving healthcare they need and if the military that they so bravely volunteered to serve won’t support them — who will? And where do they turn? Be very clear that this is not just the U.S. Administration working to undermine the very existence of trans people, it is entities at the United Nations including the Holy See, the Heritage Foundation and others. Last month we reported about a panel at the 63rd Commission for the Status of Women that on face value presented as a women’s empowerment panel, however it was incredibly transphobic and furthered the agenda of trans exclusionary discourse and violence against trans people. 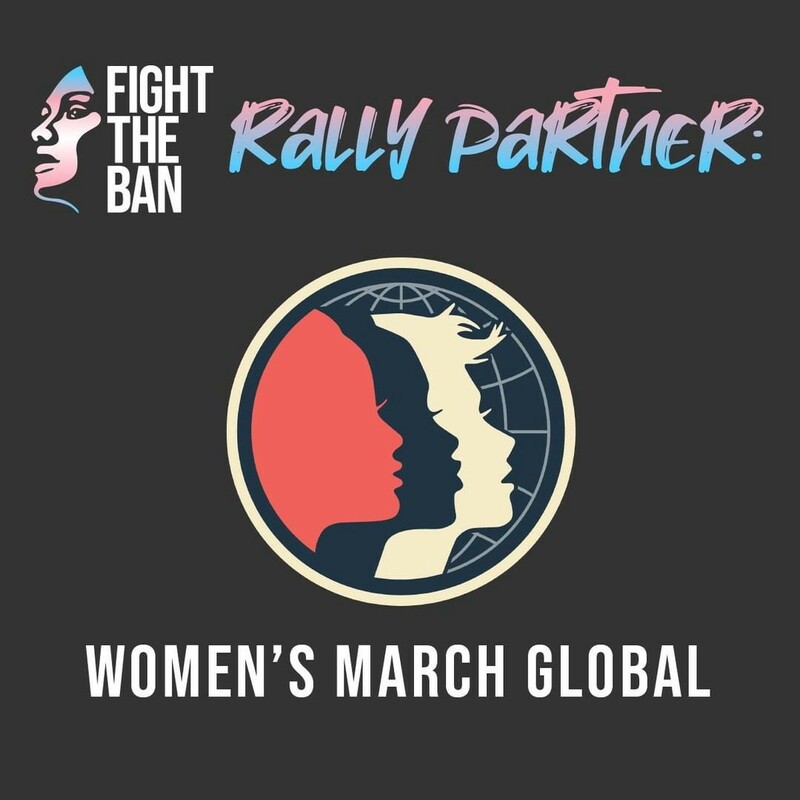 After the Women’s March Global twitter thread was posted there were a lot of posts in response decrying our use of Women in our organisation’s name. We were asked why we even call ourselves a women’s rights organisation. If you haven’t read the response written or our post for Trans Day Of Visibility (TDOV) — read them now. The simple answer as to why we support the fight against the Trans military ban is because Trans Rights are Human Rights. Why are we supporting Minority Vets of America in their work? Because we know the threat that trans people face worldwide. Just last week a trans woman was brutally attacked in the streets of Paris while dozens of onlookers did nothing. Trans people have to fight for their right to exist every.single.day. Removing access to life saving healthcare, removing their right to serve in the military, removing them all together from society pushes trans people further into the margins. Make no mistake — the work of the Trump Administration, of the Heritage foundation, of the Holy See, and so many others is to exterminate trans people. We do not say this lightly. We know globally the violence that trans people face. We know the violence that trans women face. As a women’s rights organisation we will continue to unite with our trans family and speak out in support with them. Join Minority Veterans of America in their rally tomorrow across the United States.